Oh here it is. Instant Pot Hearty Chicken and Wild Rice Stew. 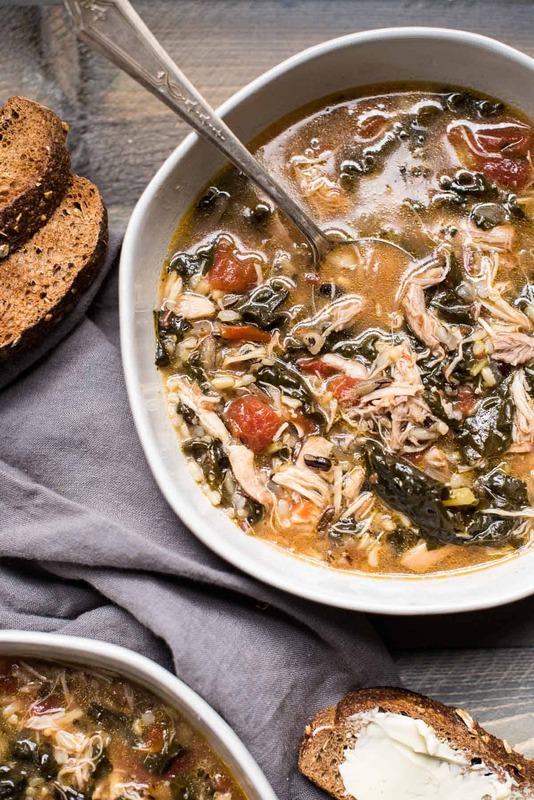 The soup we’ve been eating on repeat for the last two months. And I am 100% not exaggerating this. This post contains affiliate links for brands I love. There is no additional cost to you, but I make a commission from the sale. You know those days, or nights, when you walk in the door and your brain is immediately like, “what the hell are we going to eat, all the meat is in the freezer?” Especially been feeling this since I’ve been using Butcher Box for all our meat. Occasionally forgetting to thaw out your meat in time for dinner: 3 out of 10….well, until this Instant Pot Chicken and Rice Soup came along. Just grab two packages – about 1.5 pounds – of boneless, skinless chicken thighs and throw them right in the pot after the white wine. Not only will the Instant Pot cook that chicken in no time, it’ll come out pretty much falling apart with tenderness. Just pull the pieces out with a pair of tongs and pull apart with two forks before adding back to the soup. Then all you need a is huge bowl and some crusty bread. But what if my chicken is fresh? Well, congratulations on being better prepared for life than me. Then just cook this instant pot chicken and wild rice stew all the same. The hardest part about this soup is waiting for the Instant Pot to depressurize so you can vent it, pull the chicken and get on to eating. And don’t sweat it if some of the kale and rice and what not come out with the pieces of chicken. Everything is going right back in the pot after, so it doesn’t really matter if there are a few stragglers. Still need an IP in your life? This 8-quart model is the one that I have and love. The bigger size is great for making large batches of chicken stock and soups like this one. If that’s a bit too much gadget for you, they also make a 6-quart version. Before we get on to good eating, I have one last tip for you. 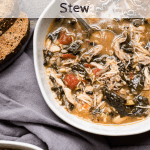 When it comes to adding the chicken stock to your instant pot chicken and wild rice soup, I’d recommend using either homemade chicken stock or low-sodium chicken stock and then adding salt and pepper to taste. For me, that ended up being about 2 teaspoons but saltiness of stocks and the type of salt you use varies. So for me, I like to taste and see about it as I go. Go forth and eat good soup my friends. 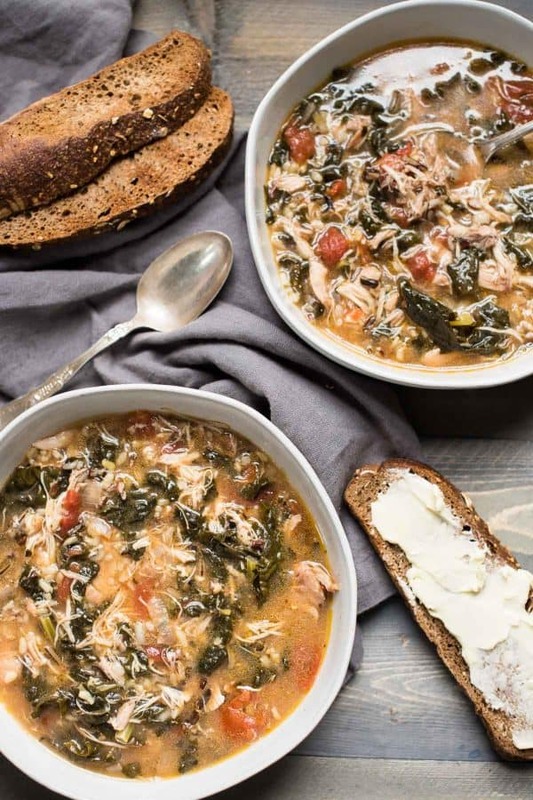 Tender pulled chicken, wild rice, tuscan kale and chopped tomatoes in rich chicken stock cooks up in no time in the Instant Pot. Turn your Instant Pot to the ‘Sauté’ setting. When the olive oil is hot, add the onion and cook for 2 minutes until translucent. Add garlic and cook about 1 minute until fragrant. Add the chopped kale to the pot and let it cook down for 1 minute while stirring. Pour in white wine and reduce for about 2 minutes. Incorporate the remaining ingredients to the pot. Close the lid to the pot and set to ‘seal’. Cook for 20 minutes on high pressure or using the ‘stew’ setting, depending on your Instant Pot model. After cooking, let the Instant Pot naturally depressurize for 10 minutes before venting. Once the red toggle button is down, you can open the lid. 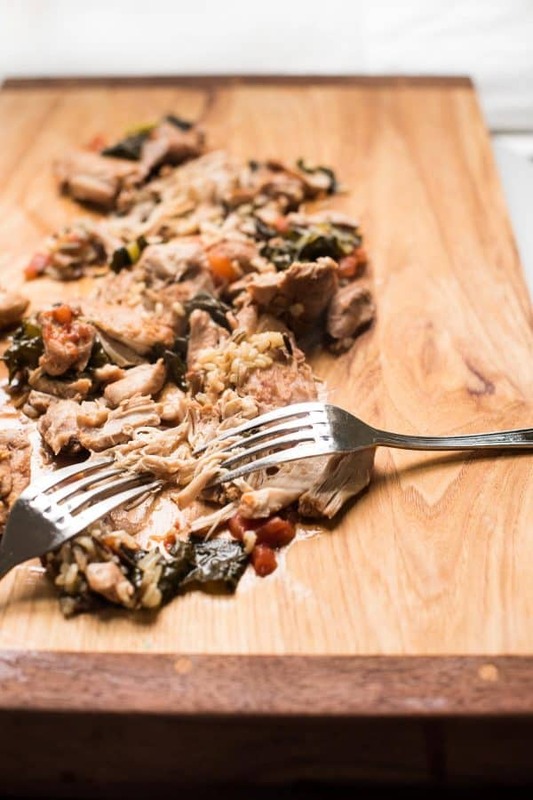 Remove the large pieces of chicken to a cutting board or plate. Using two fork separate the chicken into pulled chicken pieces. Once all the chicken is pulled, stir it back into the Instant Pot and serve. My biggest problem right now is that to make this, I have to get out from under this blanket. But if I get out from under this blanket, I can make this, eat it, be warm, and then get BACK under the blanket. That’s a seriously rough set of decisions. THIS! 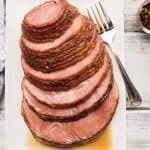 I just cracked open my instant pot and have been working it to the bone already… can’t wait to give this recipe a try, it looks absolutely delicious! Oh, I’m finally getting my instant pot for Christmas. This is saved so I can make it soon. Looks so good. Love wild rice and chicken combination. Mmm I always love a good winter soup. This one looks light enough to not give me a food coma, but hearty enough to warm me up in the snowiest of days. Thanks for sharing. The colors in this soup are gorgeous! And it looks so rustic and comforting! 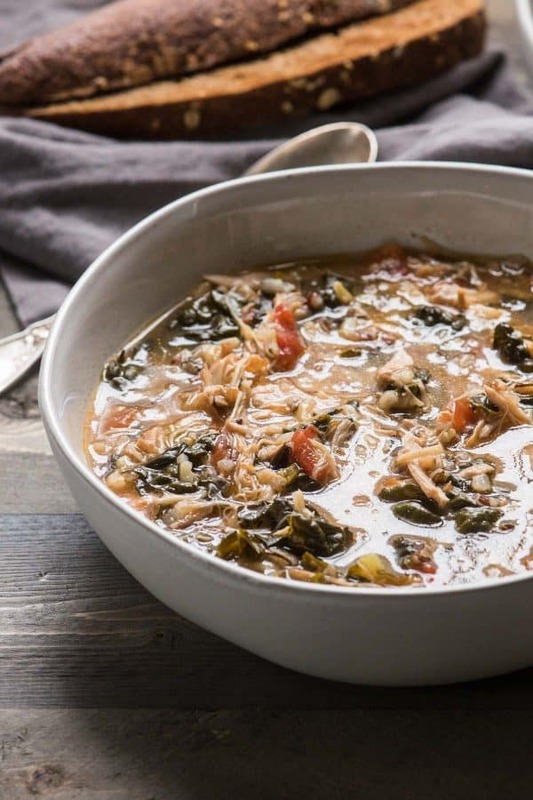 Definitely putting chicken and wild rice soup on the list! What a perfect dish for the cold wintery nights. 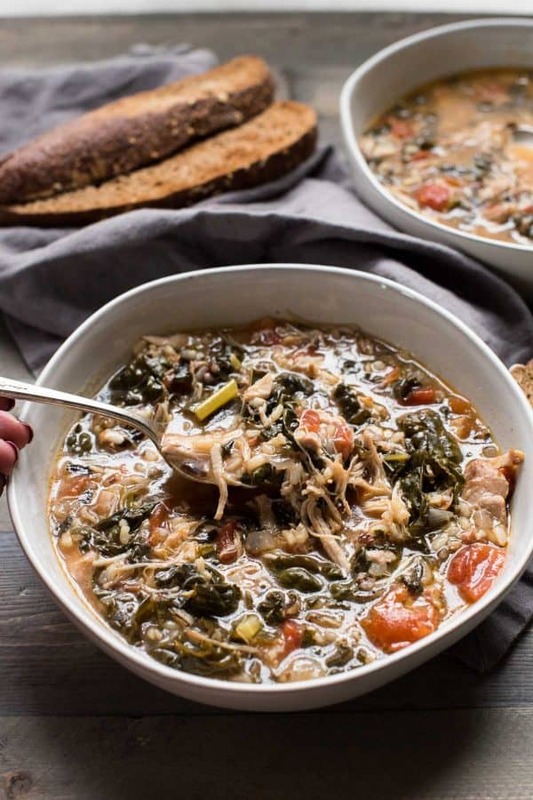 We are getting snow as I type this and I think I am going to have to make this for dinner tonight…with some crusty bread! 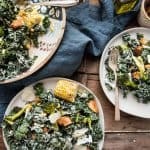 I love that you add tomatoes and kale. A different twist from the version I make, but I’m sure I’ll LOVE this one! I just printed this and I’m SO making it for lunches this week! 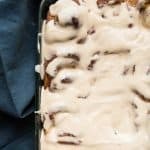 Love that this can be made gluten free!!! Love every single ingredient in this!! YUM! I don’t have an instant pot, but I’m guessing this stew can be made in a conventional pressure cooker as well? Such a perfect recipe for cold winter days! for sure! It can be done on the stove top as well, but I would recommend cooking the chicken seperately so the soup can simmer with the rice while the chicken cooks. I could go for a big bowl of this soup right now! It looks so comforting for a chilly day. This looks incredible! This is a great recipe for the cold winter months! Thank you! This wholesome recipe sounds perfect for winter nights, filling with so many good for you ingredients. Oh wow, this sounds and looks absolutely amazing. So comforting, warming and like it has healing powers (I’m sure it does!) I love the flavors you combined here and I love the addition of white vine. 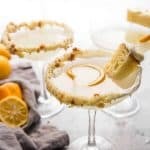 Saving this recipe and can’t wait to give it a try. 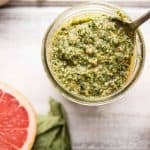 I just received an instant pot, and I’m definitely adding this on my to cook list! Love all the flavors going on here!